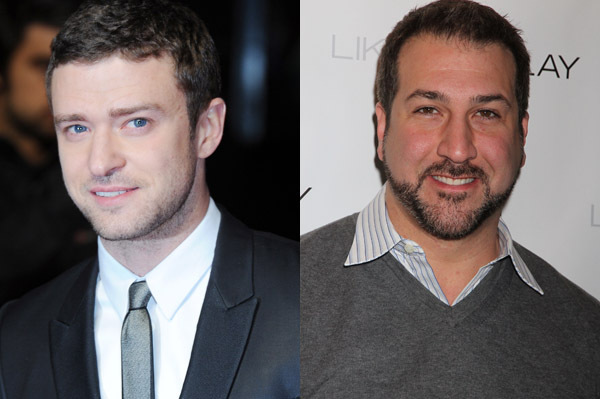 Joey Fatone gave marriage advice to his former *NSYNC bandmate, Justin Timberlake, on the heels of his rumored engagement. What does the married Fatone recommend for his megastar pal? It’s been a decade since *NSYNC members Justin Timberlake and Joey Fatone have worked together, but Fatone still keeps up with his friend’s life — his love life, of course. The married father spoke to Parade about Timberlake’s rumored engagement and offered some advice, but stopped short of confirming the upcoming nuptials. Timberlake, 31, reportedly popped the question to the Magic Mike star in Jackson, Wyoming over the holidays. Biel has reportedly been spotted wearing her engagement ring at various camera-free events, though neither have confirmed the news. One person has, though: the In Time star’s grandmother. Fatone, who reportedly will give Timberlake a “smack in the head” for a wedding gift, added that they should keep humor in their relationship. “The key is to keep it happy, light, and fun,” he told Parade. Joey Fatone as marriage counselor? We never would have guessed. Well, he must know something — he’s been married to his wife, Kelly Baldwin, for eight years. They dated for 10 years and had a daughter together before tying the knot. Sage advice, Justin — best take that to heart!